Embraced by Eurasians for centuries and found throughout boreal forests, Chaga grows primarily on birch trees. 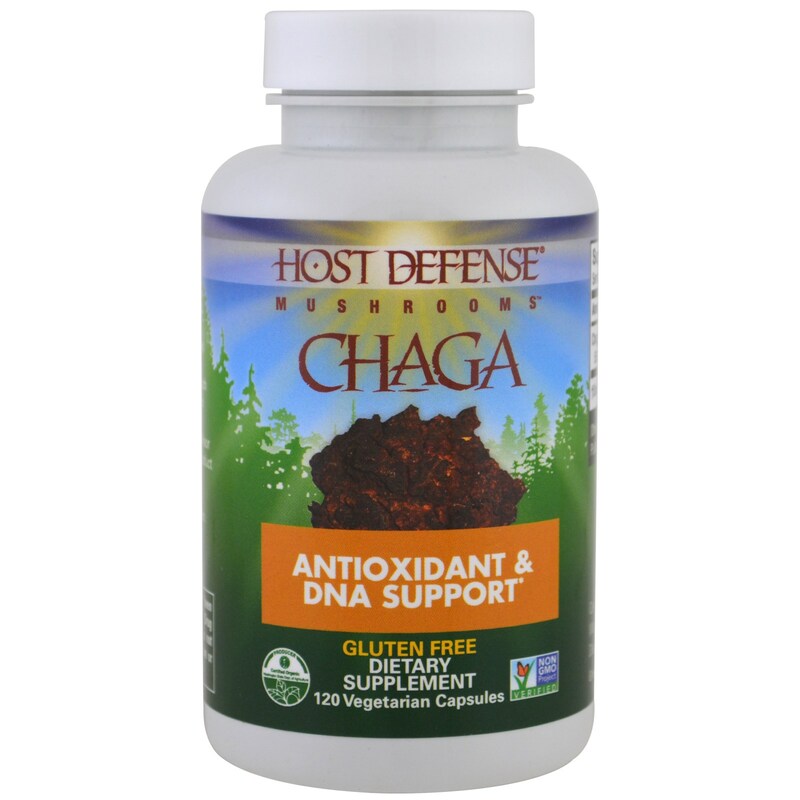 Studied and treasured worldwide for its health-enhancing and antioxidant properties, Chaga is a unique species, and the focus of recent and ongoing scientific research. 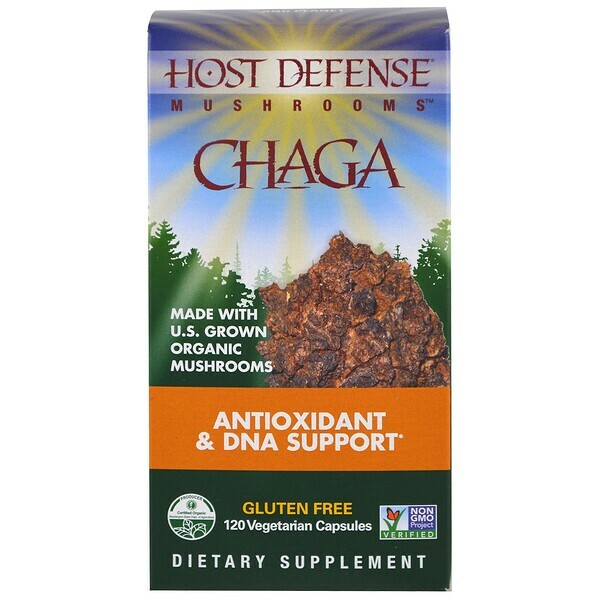 Host Defense Chaga uses activated, optimally dried , Certified Organic mushroom mycelium, with a full spectrum of constituents: >55% (550mg/serving) polysaccharides, .5% (5mg/serving) fatty acids, and array of extracellular constituents, including enzymes, antioxidants, and other myco-nutrients, essential for Support Natural Immunity. As a dietary supplement, take 2 capsules once per day. 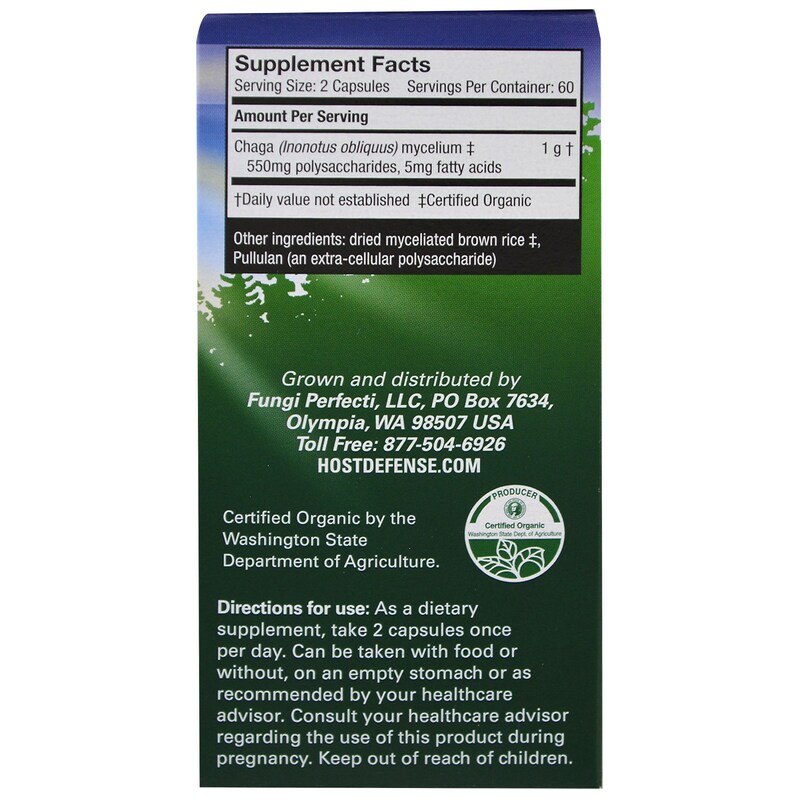 Can be taken with food or without, on an empty stomach or as recommended by your healthcare advisor. Dried myceliated brown rice ‡, pullulan (an extra-cellular polysaccharide).